PRESIDENT Emmerson Mnangagwa’s Cabinet has approved the repeal of the unpopular Access to Information and Protection of Privacy Act (AIPPA) and tabled at least three Bills to replace the law that regulated the operations of the media. 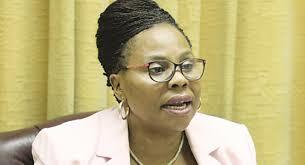 Briefing journalists in Harare after Tuesday’s Cabinet meeting, Information minister Monica Mutsvangwa said the Act would be replaced by the proposed Zimbabwe Media Commission Bill, Data/Information Protection Bill, Freedom of Information and the Broadcasting Services Act Amendment Bill. “Cabinet noted that the (ZMC Bill) principles were in fulfilment of the new dispensation thrust and in fulfilment of the alignment of the laws to the new Constitution and deepening of our democratic space,” she said. According to Mutsvangwa, the proposed laws to replace AIPPA will be tabled at the next Cabinet meeting for interrogation and then sent to the Attorney-General’s Office for drafting before being introduced to Parliament for debate and possible adoption. She also said Cabinet discussed a proposed amendment to the Police Act with a view to change the criteria for promoting senior officers. Mutsvangwa, who sat next to Primary and Secondary Education minister Paul Mavima, said Cabinet also resolved not to increase the Zimbabwe School Examination Council (Zimsec) examination fees for Ordinary and Advanced Level this year.